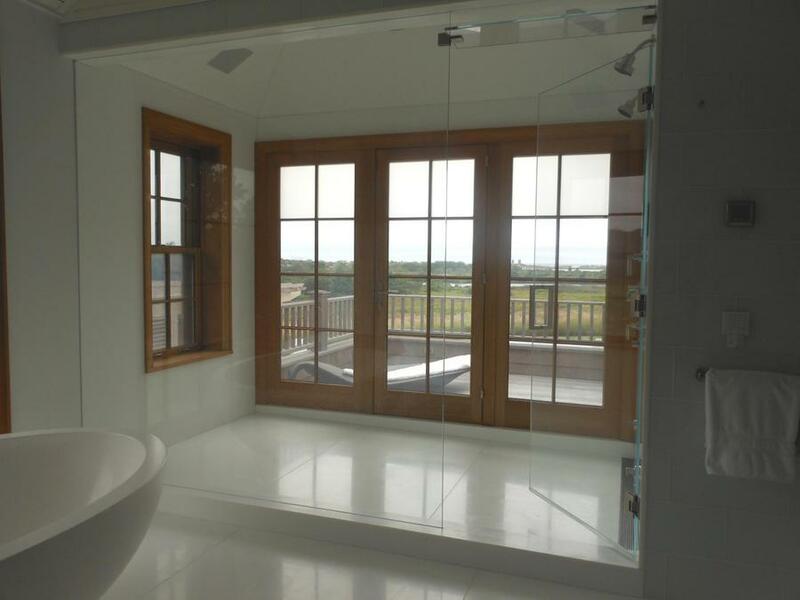 This high-profile Hamptons resident chose electronic Privacy Glass for their entire master suite & bathroom. They ordered finished doors and windows with switchable Privacy Glass complete with decorative SDL grills. 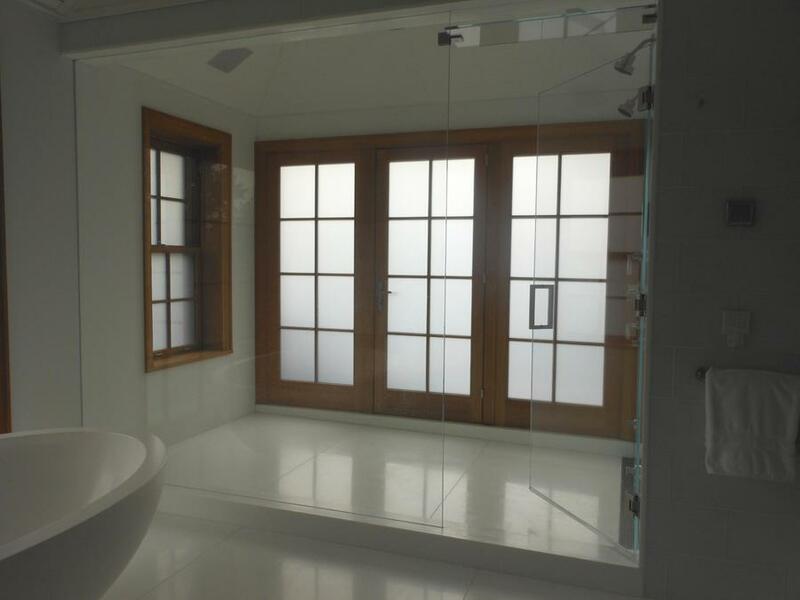 The floor to ceiling bathroom privacy windows next to their bathtub and a full wall, including French Doors in their walk in glass shower leading to their balcony, all have glass that fogs up at the touch of a button. 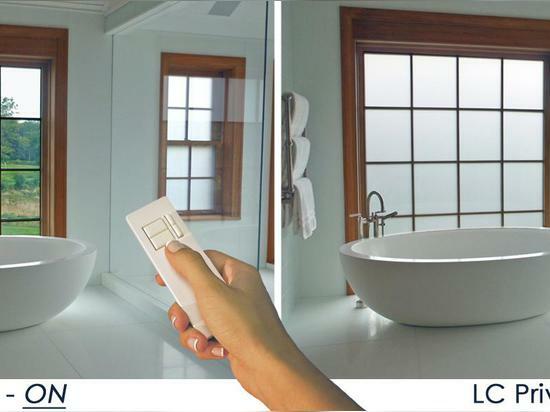 Additionally, switchable privacy glass panels are segmented, allowing for the top portion of the glass to be controlled independently from the bottom portion for extra flexibility.